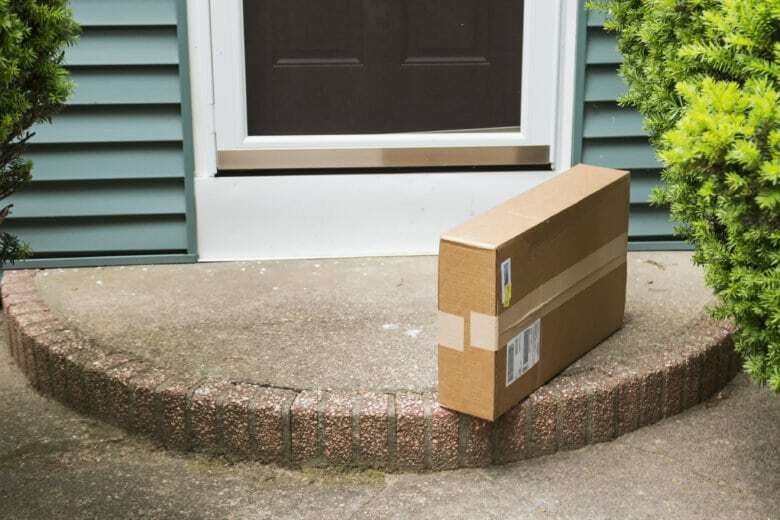 A brown cardboard box is left on the front stoop after being delivered while no one was home. The man was identified as 46-year-old Gary Martin Smith of Abingdon. He's charged with offenses, including theft under $100 and conspiracy to commit theft. BEL AIR, Md. (AP) — Authorities are asking for the public’s help in finding a man accused of directing his 5-year-old daughter to steal a package off the porch of a Maryland home. News outlets report the man was identified as 46-year-old Gary Martin Smith of Abingdon. He’s charged with offenses, including theft under $100 and conspiracy to commit theft. A Harford County Sheriff’s Office Facebook post says Smith directed his daughter to steal the package off the porch of the Bel Air home Nov. 30. Authorities say a pair of boots was inside the package. Video of the theft was posted and a deputy handling the case received an anonymous tip that identified the girl. Deputies were able to positively identify her, which led to charges against her father.